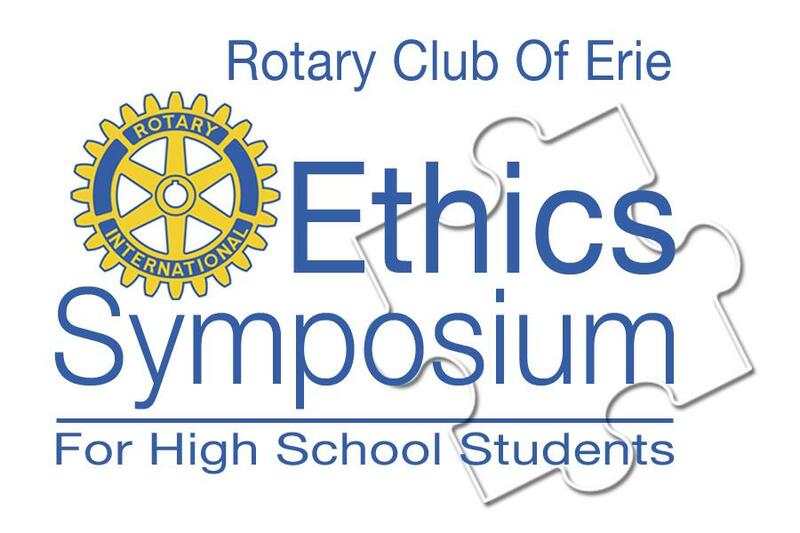 Beginning in 2011 the Rotary Club of Erie partnered with Mercyhurst University to host a one-day event focused on promoting thoughtful dialogue about what defines ethical behavior and choices. This year the event is open to Juniors from all 19 Erie County high schools. Each high school may select up to 15 students to attend the Symposium (four alternate students may be selected in case one or more students is unable to attend). The symposium's curriculum is presented in engaging, diverse and interactive formats, including a play presentation, small classroom discussions and a unique "open mic" session. Students are encouraged to think about ethical decision making and how the choices they make impact their lives, their family and friends, and their community. We look forward to the next Symposium in February of 2019! The Rotary Club of Erie is a club of business and organizational leaders providing help to those at risk not only in Erie but internationally. We belong to Rotary International. The local club is where most of Rotarians' meaningful service work is carried out. We join the other 42 clubs with its 1,400+ members in Rotary District 7280 to affect change regionally. Internationally, we are part of 33,000 clubs in more than 200 countries with 1.2 million Rotarians who provide humanitarian service, encourage high ethical standards in all vocations, and help build goodwill and peace in the world. If you would like to help others by providing your time and talent to further the Rotary motto, Service Above Self, we invite you to learn more about the Rotary Club of Erie by clicking the links at left under the heading Site Pages. If you are using a Firefox or Google Chrome browser click here. Rotary Club of Erie Scholarship Luncheon. Ron is known for representing leading business, entertainment, sports and political figures. VP of Strategic Initiatives and Chief of Staff at the Chautauqua Institution.